We know how busy mummies and daddies can be but we also know that they want to learn languages. That's why we have created this wonderful service, where kids can play in a safe environment, supervised by qualified vetted staff, while mum & dad attend their language class. The bus stop linking Bundoran with Bus Eireann's route 64 and Local Link is a few steps away from our premises.  For bus timetables, please go to Discover Bundoran's Website - Parking is free right outside our door from October 1st until April 1st. Alternatively, we have have free parking facilities at the back all year around and there are two large free car parks 2 minutes away. There is a kitchenette in ID Languages where all of our students are welcome to make themselves at home and grab a cup of tea or coffee. You can sit and relax while overlooking the Atlantic Ocean, take a hot beverage to class or enjoy it during your break. We also have a fridge and microwave available for students.